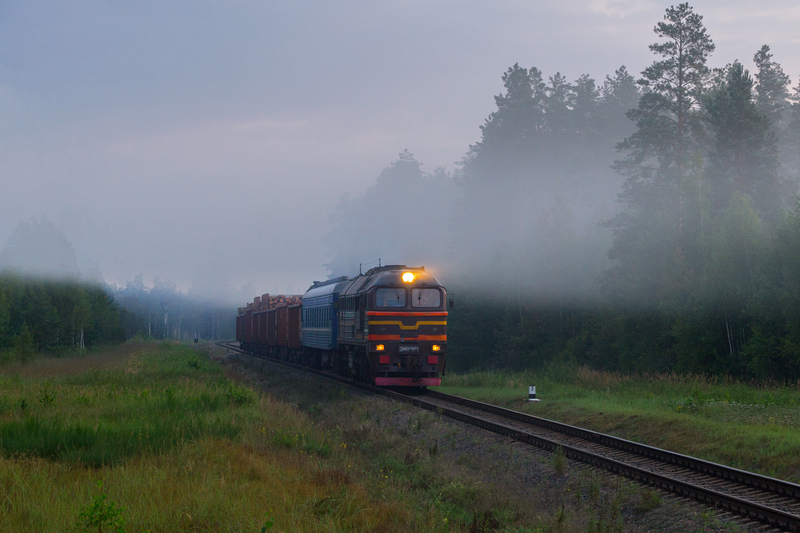 1 september 2018 - DM62-1871 with a freight-passenger train №962 Gradzyanka - Asipovichy on Lapichy (бел. Лапiчы) - Veraitsy (бел. Верайцы) stretch. A unique line in Belarus, where there is a freight-passenger train (runs twice a day). Usually on weekends it consists only from a passenger wagon (plants are not work and cargoes are absent). As a rule, train are serviced by DM62-1871. Mniam, piękny poranek. Do tego towos Nice nice !! Thanks for reviews and votes.